He might be young compared to most of his contemporaries, but Ryan Strome sounds like a seasoned veteran when it comes to his NHL goals. The start of the 2013-14 NHL campaign saw Strome, the fifth overall pick of the Islanders in 2011, playing with the Bridgeport Sound Tigers, New York’s American Hockey League affiliate. In 37 games, the Mississauga, Ontario, native recorded 13 goals and 49 points. For the past 24 games, however, the 20-year-old has suited up for the Isles. To date, he has four goals and 10 points. While the opportunity to contest the Stanley Cup won’t come this season, Strome is a young man with a plan. Last season, the Isles made the playoffs, but were ousted in five games in the first round at the hands of the Pittsburgh Penguins. Though there were reasons for optimism on Long Island before the puck dropped in 2013-14, injuries to key players, including captain John Tavares, has made for a bitterly disappointing campaign for the Metropolitan Division squad. Currently, New York sits in 14th spot in the Eastern Conference. Tavares, the No. 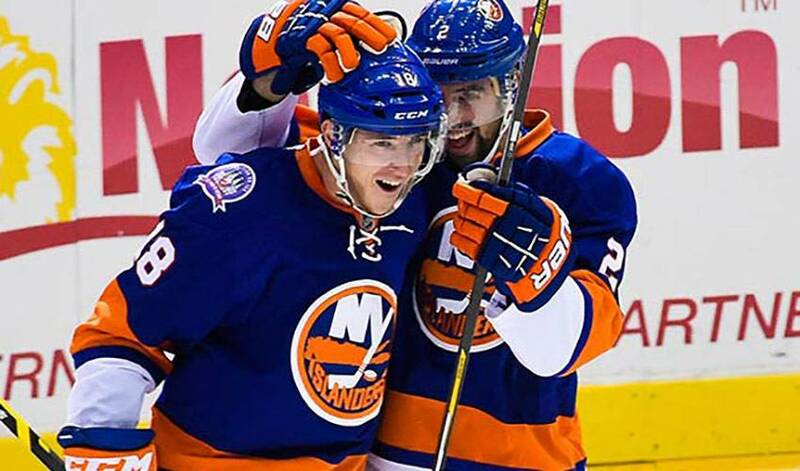 1 selection in 2009, has already had a significant impact on Strome, a welcome mentor for the rookie. The two have worked out together the past two summers. Strome, who played alongside Dougie Hamilton (the 9th overall pick of the Boston Bruins in 2011) with the OHL’s Niagara Ice Dogs, is looking to make the most of his opportunity with the Isles this season. In his past four games, Strome has three points. His focus, though, remains on doing his part in getting the Isles back to where they want to be.